"The best online bank account! " Chime is the bomb !!! Very secure and problem free. I highly recommend this bank account!! The service is above the rest. Excellent customer service and support!! You can save money easily with their round up to your savings account!! Try them! I guarantee you'll love them! Amazing. The best part about this app is that I get paid two days early. My coworkers didn’t believe me when I told them! Mobile banking really is coming to life in the future. 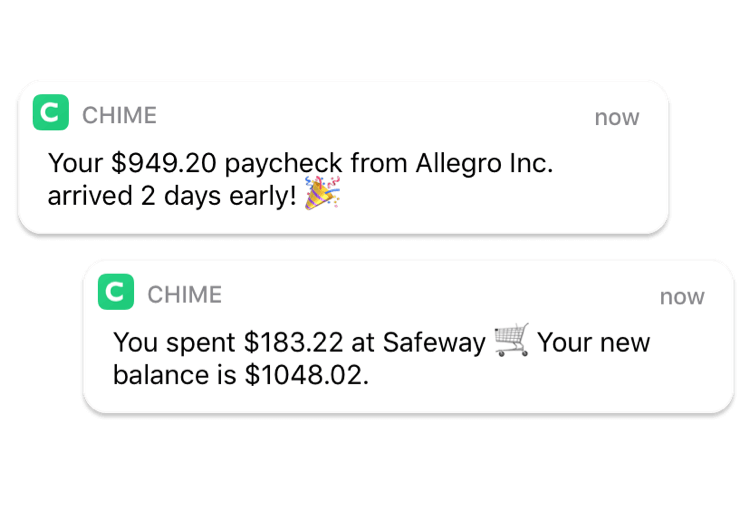 This app helps me save money from round up feature and the 10% of paycheck earnings deposited to my checking account . I absolutely love Chime. 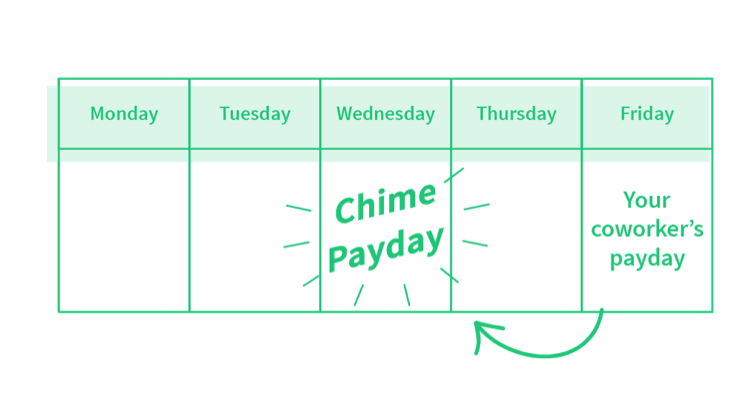 I like getting my paycheck 2 days early, like not paying any fees, like the taking a percentage out of my check and putting in my saving along with the roundup feature. 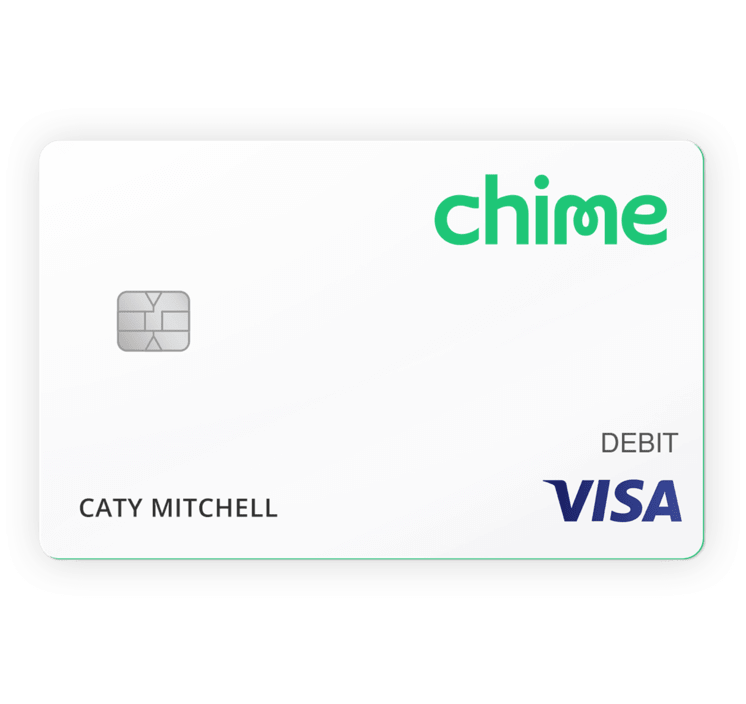 Out of the few debit cards I’ve tried, Chime is by far the best. "Great app and online bank"
Great app and online bank, easy to use plus it helps me save money. Alerts are right on time and all my transactions are right there. My direct deposits are on time as usual. Would highly recommend. 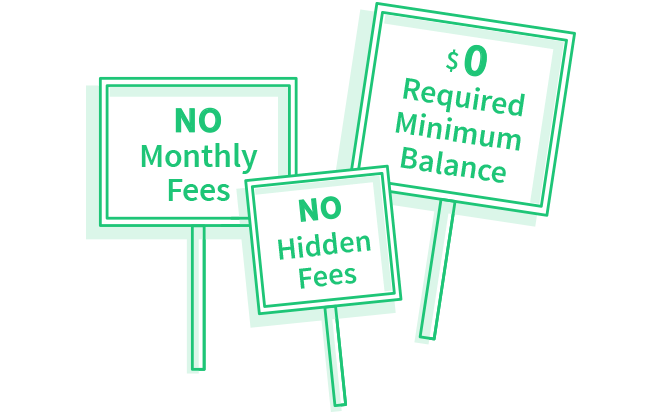 "The best online bank period." 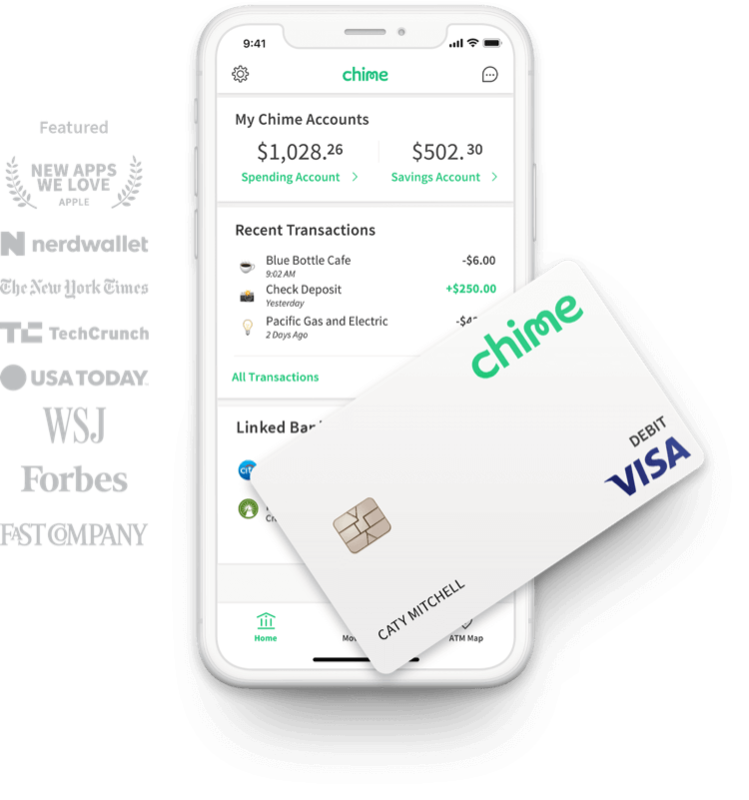 Chime is a great online bank. Has tools to save automatically, and the app is beautifully designed. No problems so far and it's my main bank.